SOPA, PIPA, what’s next? The reincarnation of Mao Zedong and Stalin in one body? … Looks so weird when imagined… TRY THAT! We cannot have it that way, can we? 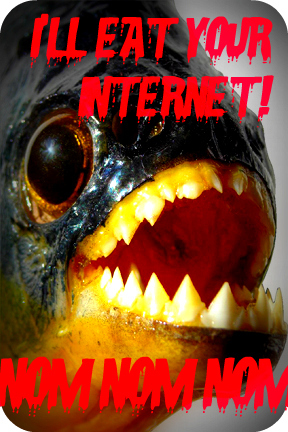 So be a mannerly puppy, an allegiant Internet-user and sign here in order to not let piranha-abbreviations eat the Internet alive!! If.. you know what that means, you’re swedish! (Or Finnish) Or.. you’re a reborn swede – which means you were a good root in your past life before this reincarnation… eh? Well, if you don’t know what it means, a big piece of Finnish culture has been flying around the world when you weren’t watching! (Literally it’s just, from Finland to Japan). 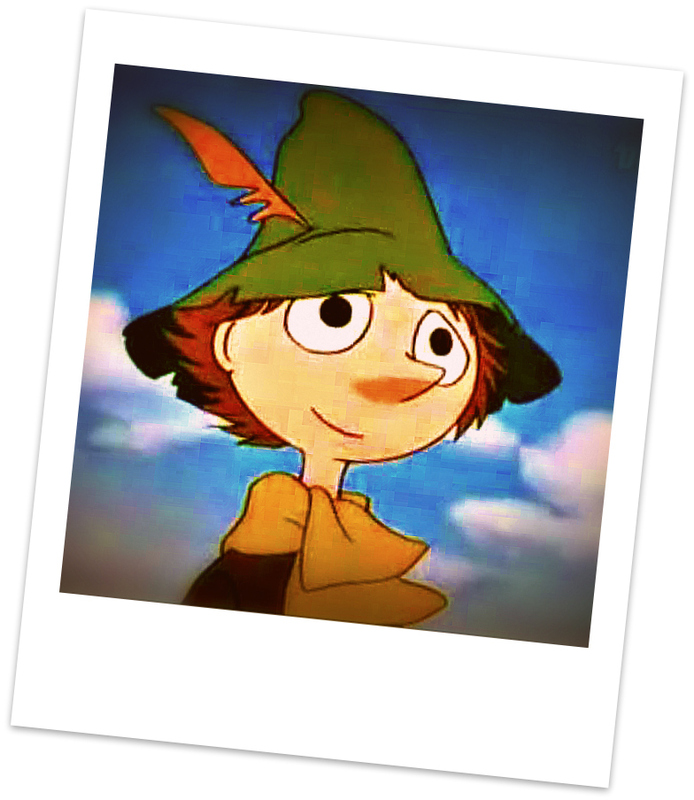 “Snusmumrik”, or “Snufkin” is one of the many and all unique characters inhabiting the “moomin-valley” in the books written by Tove Jansson. He’s a philosophic wanderer, poet and musician. He goes wherever he wants, stops when he feels like it, puts up his tent and starts playing his harmonica. Reminds me of Christopher in the movie “Into the Wild” (whose ending I cannot stop hating, even though I know it had to end that way..) except snufkin carries an almost empty backpack. I just.. ah uh, ok – this is not very good when I’m trying to be a rolemodel of kindness to nature… The consumer-soceity will be our death and decay since nobody thinks of the residues and everyone wants a fat salary. (Producers makes things break so that you can buy next months model – computers are a big problem, noticed?). Therefor we shouldn’t buy as much of the new ‘stuff’ and instead recycle and buy second-hand – yeah, so on, I do that! Result; Aqua, Sodium Laureth Sulfate, Cocamidopropyl Betaine, Sodium Chloride, Sodium Lauroyl Glutamate, Styrene/Acrylate Copolymer, PEG-150 Distearate, Parfum, Betaine, Citric Acid, CocoGlucoside, Propylene Glycol, Hippophae Rhamnoides (Seabucktorn) Extract, DMDM Hydantoin, Methylisothiazolinone, Potassium Sorbate, Sodium Benzoate…. Yeah – Who the hell reads this!? Why is it even here?? Because the normal people that buy these .. they don’t even understand it! They don’t even know what they’re buying or washing their hands with!! But ok, I understand some parts in it. There’s water in my soap, Aqua. There’s Salt, Sodium Chloride. It contains Citric Acid, just a weak organic acid found in fruits. And it SAYS it contains extract of ‘sea-bucktorn’ which is a fruit.. not sure how much that is though. Anyway, the rest then? what is, for example ‘DMDM Hydantoin’? Formaldehyde – Mummypresarvation and.. Substance in soap? Are you aware of what your soap contains? Do you know what you’re washing your own hands with? I didn’t – So as any curious naturesciencestudent, I looked it up. The most dangereous substance in my soap according to the EWG was the substance ‘Formaldehyde‘ that ‘DMDM Hydentoin’ releases to keep the product free from microorganisms. The usage of this substance began long ago, while those mummies we see at the museums were still alive and walking (if the myths aren’t true, hope not). Or, more exactly when one died. Formaldehyde is an excellent preserver that replaces the blood in these bodies and makes them last for thousands of years, we still don’t know exactly how long. Anyway, today the top usage is not mummification. Instead it is. EVERYWHERE. Yes! In your soap, in your walls (building materials), cosmetics, toothpaste, sunblock, maybe you’re even ‘cleaning’ you’re home with it! (I bet you are). Now, Formaldehyde, CH2O CAN be found naturally in our own bodies in very small amounts. It is required for the synthesis of DNA and amino acids (building protein). But what happens when we get too much of it? When there comes synthetic versions of this substance into our bodies? Well, according to me, these; …. ….are no positive facts, right? If anything it can cause disturbance to our DNA. And studies have shown how it damages DNA. Ah well, that would have been a hell of excuse for not washing my hands when I was little!